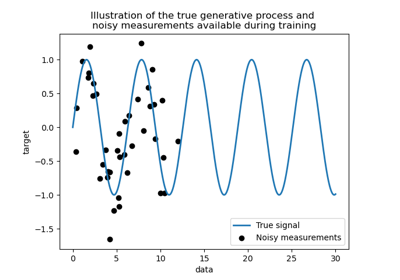 The implementation is based on Algorithm 2.1 of Gaussian Processes for Machine Learning (GPML) by Rasmussen and Williams. exposes a method log_marginal_likelihood(theta), which can be used externally for other ways of selecting hyperparameters, e.g., via Markov chain Monte Carlo. Value added to the diagonal of the kernel matrix during fitting. 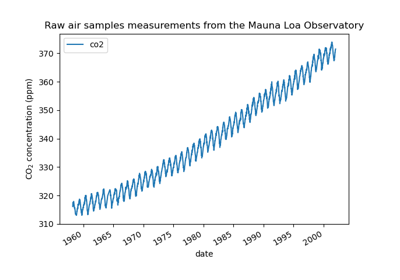 Larger values correspond to increased noise level in the observations. This can also prevent a potential numerical issue during fitting, by ensuring that the calculated values form a positive definite matrix. If an array is passed, it must have the same number of entries as the data used for fitting and is used as datapoint-dependent noise level. Note that this is equivalent to adding a WhiteKernel with c=alpha. Allowing to specify the noise level directly as a parameter is mainly for convenience and for consistency with Ridge. The number of restarts of the optimizer for finding the kernel’s parameters which maximize the log-marginal likelihood. 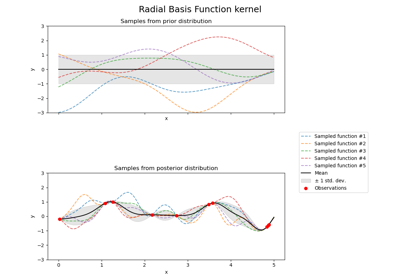 The first run of the optimizer is performed from the kernel’s initial parameters, the remaining ones (if any) from thetas sampled log-uniform randomly from the space of allowed theta-values. If greater than 0, all bounds must be finite. Note that n_restarts_optimizer == 0 implies that one run is performed. Whether the target values y are normalized, i.e., the mean of the observed target values become zero. This parameter should be set to True if the target values’ mean is expected to differ considerable from zero. When enabled, the normalization effectively modifies the GP’s prior based on the data, which contradicts the likelihood principle; normalization is thus disabled per default. fit(self, X, y) Fit Gaussian process regression model. log_marginal_likelihood(self[, theta, …]) Returns log-marginal likelihood of theta for training data. 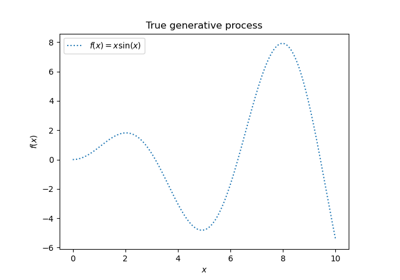 sample_y(self, X[, n_samples, random_state]) Draw samples from Gaussian process and evaluate at X. Fit Gaussian process regression model. Kernel hyperparameters for which the log-marginal likelihood is evaluated. If None, the precomputed log_marginal_likelihood of self.kernel_.theta is returned. If True, the gradient of the log-marginal likelihood with respect to the kernel hyperparameters at position theta is returned additionally. If True, theta must not be None. We can also predict based on an unfitted model by using the GP prior. In addition to the mean of the predictive distribution, also its standard deviation (return_std=True) or covariance (return_cov=True). Note that at most one of the two can be requested. If True, the standard-deviation of the predictive distribution at the query points is returned along with the mean. Standard deviation of predictive distribution at query points. Only returned when return_std is True. Covariance of joint predictive distribution a query points. Only returned when return_cov is True. 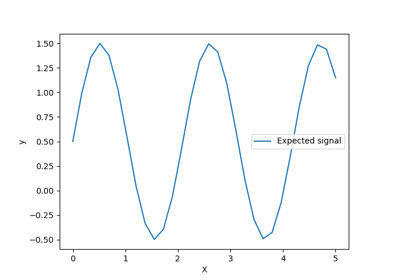 Draw samples from Gaussian process and evaluate at X. Values of n_samples samples drawn from Gaussian process and evaluated at query points.